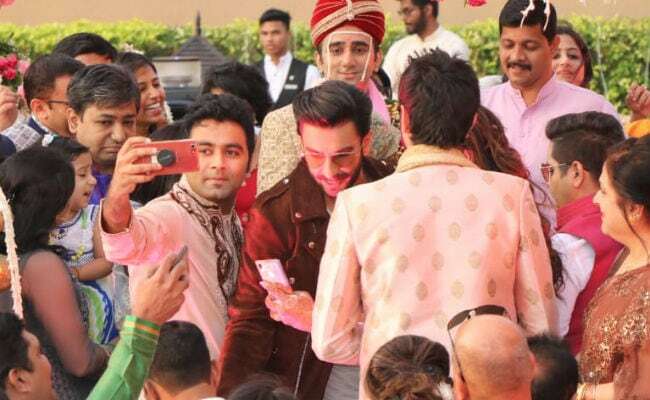 Actor Ranveer Singh, who is busy promoting his forthcoming film Simmba, gatecrashed a wedding in Mumbai. 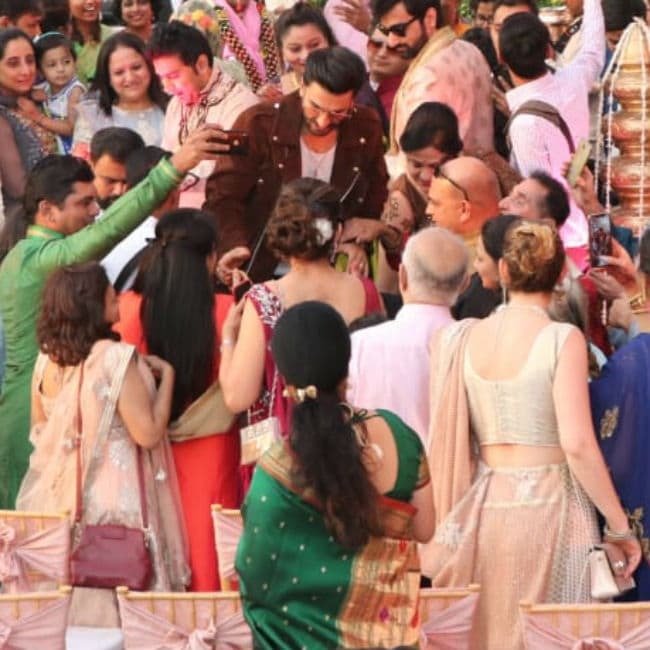 Ranveer made a dhamakedar entry and pictures of him meeting the bride and the groom in the mandap and greeting the guests are all over the Internet. 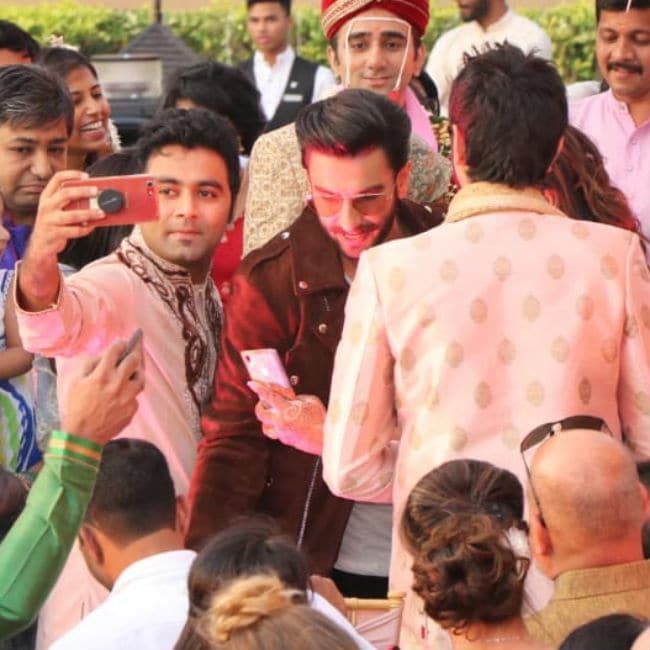 Ranveer was promoting Simmba at a Mumbai hotel, where this wedding was also taking place. The 33-year-old actor looked dapper in a brown jacket, black trousers and shades. It must have been the best surprise for the couple and the wedding guests. Isn't it? Ranveer recently got married to actress Deepika Padukone in Italy, but more on that later. First, take a look at the pictures from the shaadi here. Whoa Ranveer, such a star! Ranveer and Deepika married in Italy's Lake Como in November. 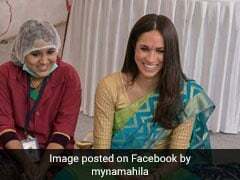 They first exchanged their wedding vows as per Konkani rituals and later got married in a Sindhi ceremony. Their wedding was attended by their respective families and only a few friends. Soon after the couple landed in India, they hosted a wedding reception in Bengaluru, Deepika's hometown. In Mumbai, Ranveer and Deepika hosted two wedding receptions. The last one was attended by the film fraternity. Meanwhile, on the work front, Ranveer's next film is the aforementioned Simmba, in which he co-stars with Sara Ali Khan. Simmba is directed by Rohit Shetty. Ranveer plays a cop named Sangram Bhalerao while Sara stars as Priya, his love interest. Simmba hits the screens on December 28. It marks Sara Ali Khan's second Bollywood film. She debuted in the film industry with Kedarnath, which also released in December.